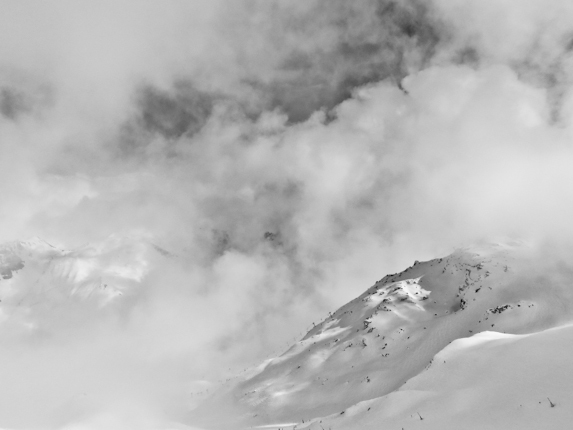 This week's image taken during a Méribel ski lesson has been converted into black and white to help give it some added drama. Having said that, does this scene need extra drama? Let me give you some background into this photo. It was taken late in the afternoon of March 26th last winter. It had been cloudy all day, and we had been skiing in what is commonly known as 'Pea Soup', in other words very poor visibility. I'm assuming that because you are reading this blog post, you have more than likely skied before. If you have then it's possible that occasionally you have been caught up in this type of weather, when you can't see much. 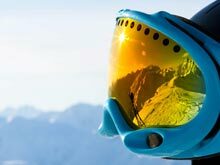 This is where most people's skiing performance deteriorates, either due to 'areas of improvements' with ski technique, or 'psychological influences'. The great news is that both of these areas can be improved upon. It's not unusual for the numbers of skiers on the mountain to dwindle in these conditions, so being one of the few people still up there can be especially rewarding and satisfying. That said when the weather gradually starts to clear, I like everybody else, feel somewhat happier. "You beauty" often springs to my mind. Firstly because you can't beat that feeling of seeing the sun. Secondly it helps everybody see where on earth they are. Thirdly, the feel good factor increases which means that people on their precious skiing holiday have a more enjoyable time. I on the other hand have another reason why I love it soo much when the weather clears. The clearing of clouds is often a gradual process that provides some awe inspiring views and adds drama to any vista. The scale of the mountains and the energy of the weather is displayed at its best. As a photographer, trying to show the sense of scale in the mountains is surprisingly tricky. How many times have you taken photographs of a mountain scene where in reality it's pretty impressive. But then when you get back home and look at the same photo, it all looks a bit flat !?! How can that be? That's why I love this photo, the sense of scale and drama. 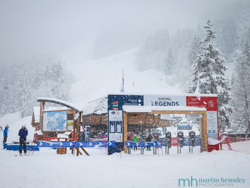 For those who are familiar with 'Les Trois Vallees', of which Méribel is part, let me place this image. In the foreground is the 'Creux' red piste, with the rickety old 'Creux Noirs' chairlift on the ridgeline just above. On the far left of the image you may just be able to make out the 'Chanrossa' chairlift' in the distance. 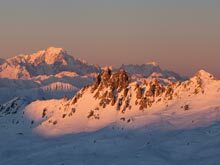 Great news came from the mountains last week, there were early snowfalls across the French Alps including Méribel with the glaciers benefiting greatly. If you enjoyed this article, you might like to click on this link for the first in the series of 'Why I Love This Photo'. Feel free to share away on Facebook, Twitter and Google+ by using the social media icons. Or leave an old fashioned comment below. Tune in next week for another photo in this series. Martin.